Looking for ideas for a 1940s hen party or a 1930s birthday day out? 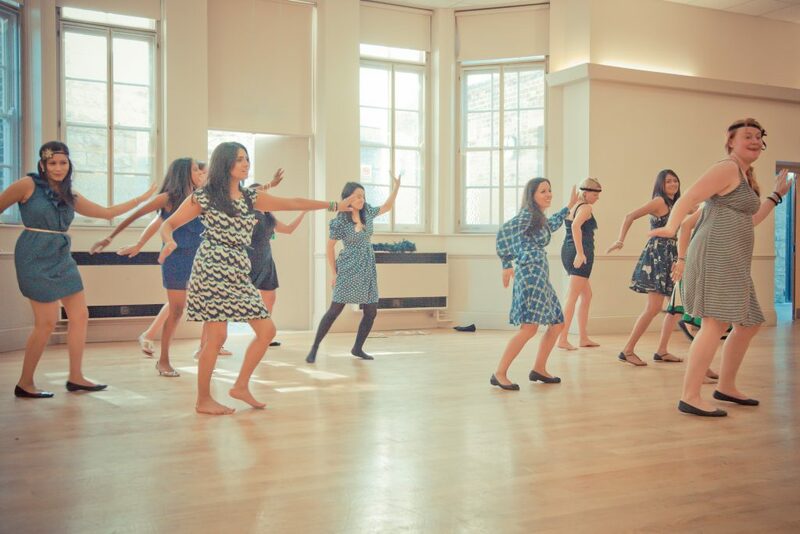 Our two hour private 1940s Swing Era Dance Class is great for 1940s hen parties and birthday groups, or just groups of friends wanting a private dance class for a new experience. Dance to infectious big band swing, and get taken back to the swinging 30s or wartime. No party in the thirties or forties was complete without dancing and music, no matter how modest. People would put on the wireless or the gramophone and dance! So if you want to get the feel of the 40s or 30s, then get dancing! You’ll learn lots of fun vintage jazz dance steps such as boogie backs, shorty George’s, tacky Annie’s and smack the pony. Then you’ll learn a fun dance routine that you all do together, just for fun, or even to take away and dance at the wedding. Contact us for details and prices. We can also do partnered swing and lindy hop dance classes, if you’d like to learn some lead and follow partner dancing, for a little bit more of a technical challenge. Why not add 1940s hair and make up or afternoon tea for a whole 1940s day out? 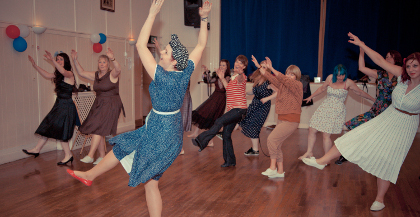 Having a 1940s themed party and want dancers to perform or teach at your party or event? We can help with this too. 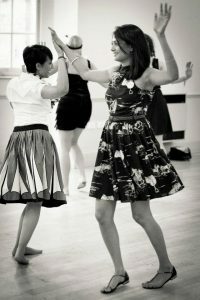 We can offer swing and lindy hop dance classes or our 1940s dance class in London, Oxford, Reading, Henley on Thames, Bath, Cheltenham or even Manchester and the Peak District.